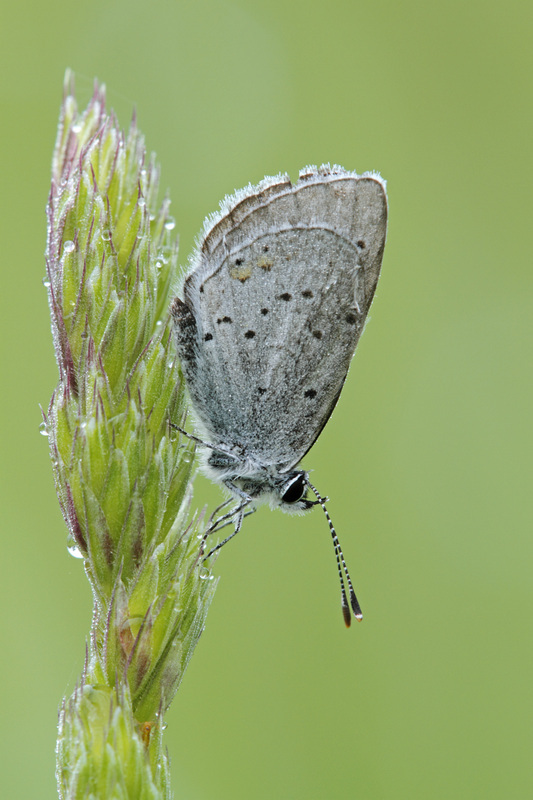 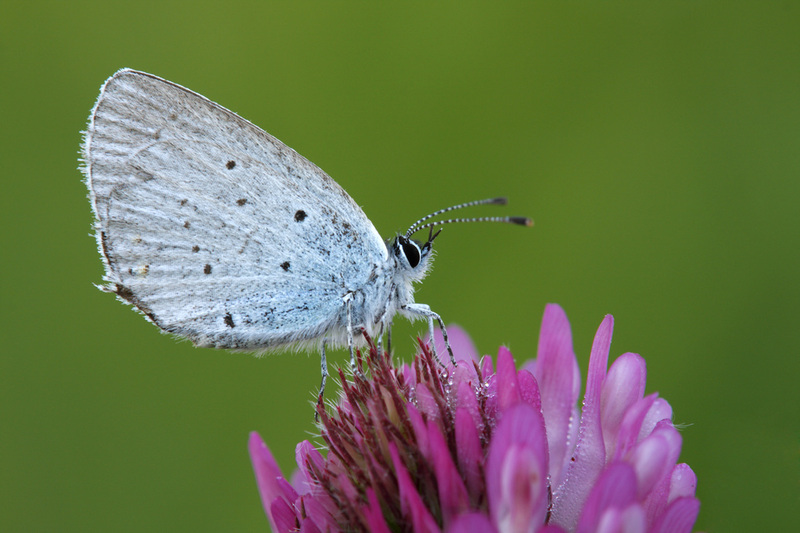 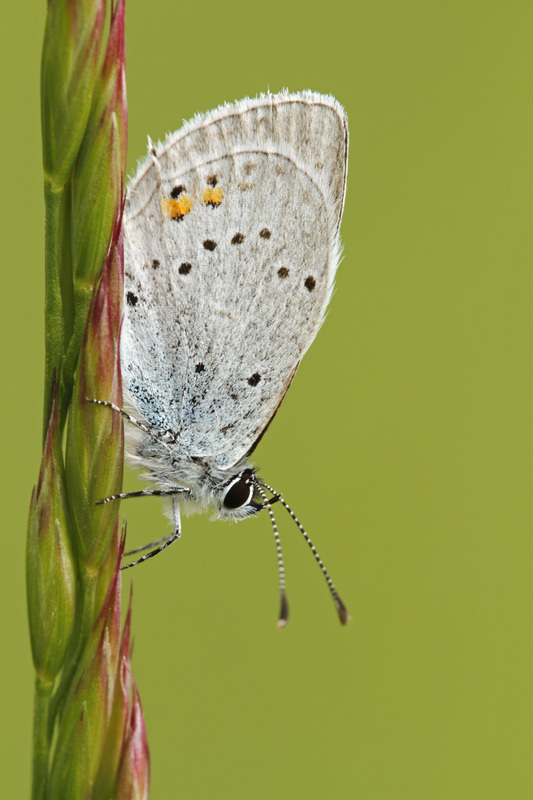 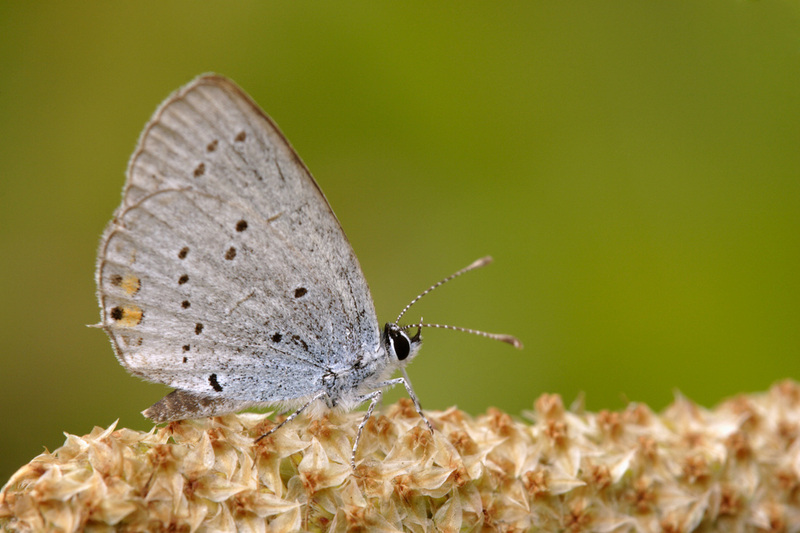 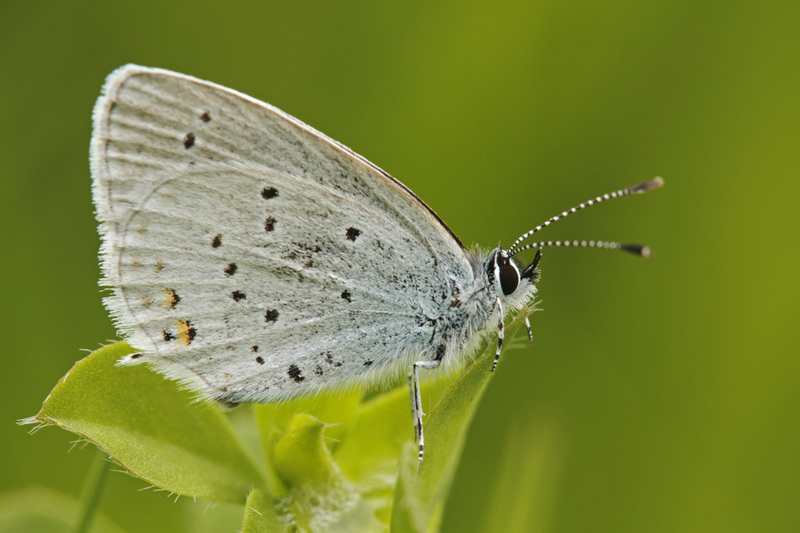 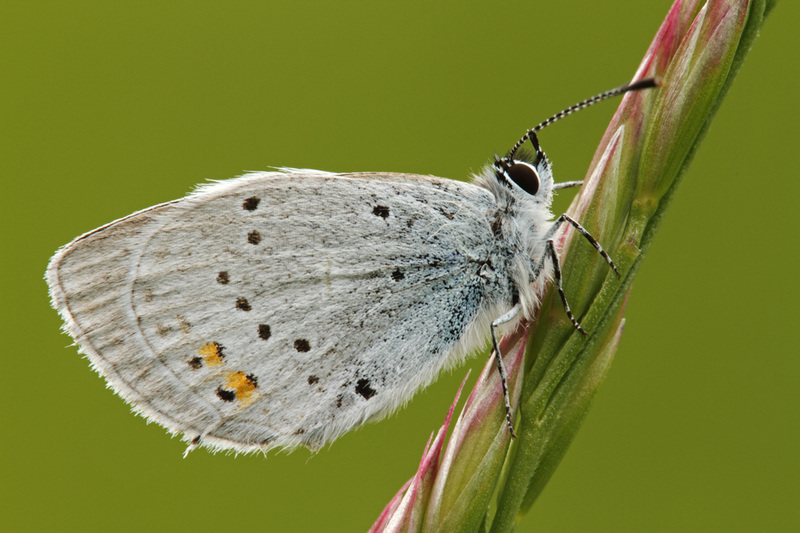 This butterfly is named for its very finde, short 'tail' that is easily overlooked. 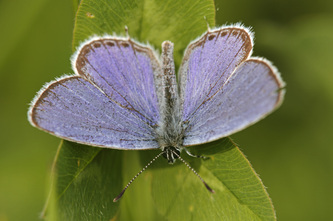 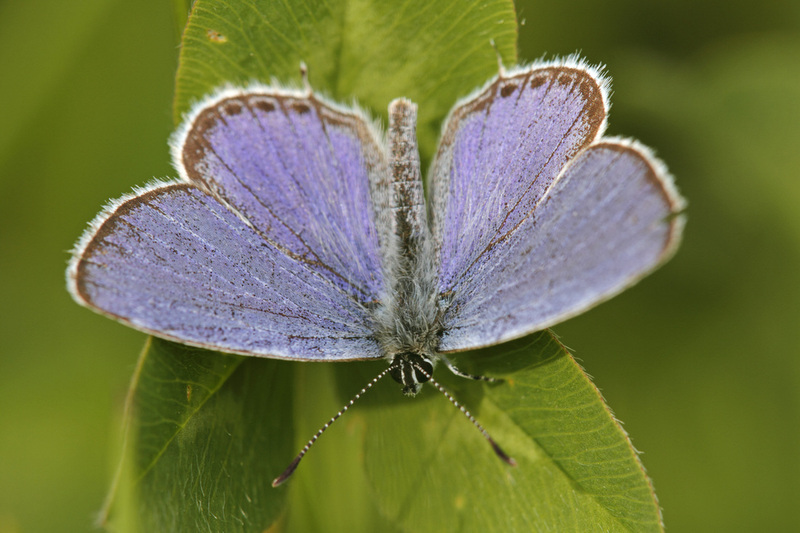 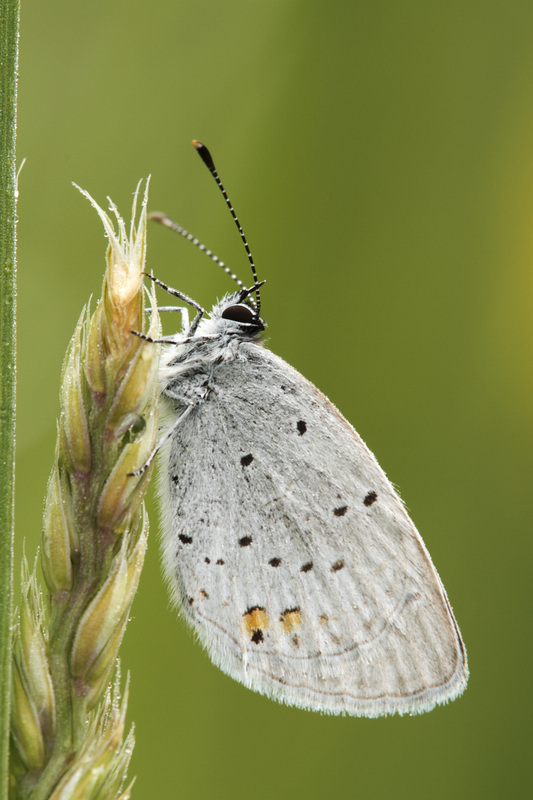 The upperside of the male is purplish blue with narrow dark borders, and often a numer of submarginal black spots on the hindwing (see photo above). The female is sooty brown with a light dusting of purple scales near the base, although this is often absent in the second brood, and one or more small orange spots near the rear of the hindwing. Both sexes have conspicious white fringes. 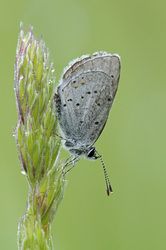 The undersides of both seces are pale greyish blue, often with a silvery sheen, and decorated with small black spots. 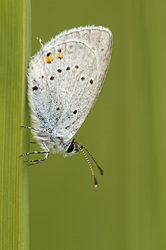 There are two prominent black spots near the tail, often ringed with orange. Flight from April to September in two or three broods. 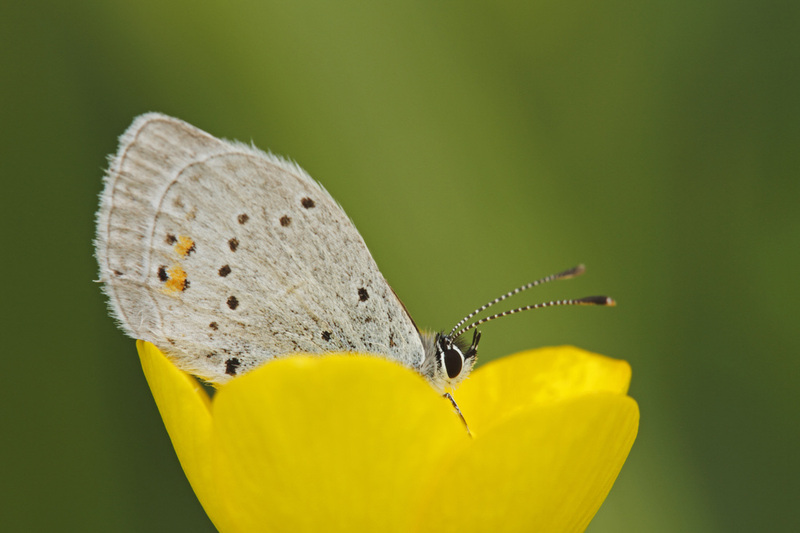 The larval foodplants are clovers, trefoils and other low-growing legumes.